In a large bowl, combine the oats, whole almonds, slivered almonds, salt, cinnamon and cardamom and stir to combine. In a small sauce pan over medium heat, stir together the maple syrup, coconut oil, and honey until the coconut oil is melted. Remove the pan from the heat and add the vanilla. Pour the liquid over the oat and almond mixture and toss to combine. Prepare a parchment lined baking sheet and pour the granola mixture on top of the parchment. Bake the granola for 30 minutes. Remove the baking sheet after 30 minutes and toss the granola. Place the baking sheet back into the oven for another 10 minutes to finish baking. Once the granola is done, remove the baking sheet from the oven and let the granola cool and add the dried fruits. 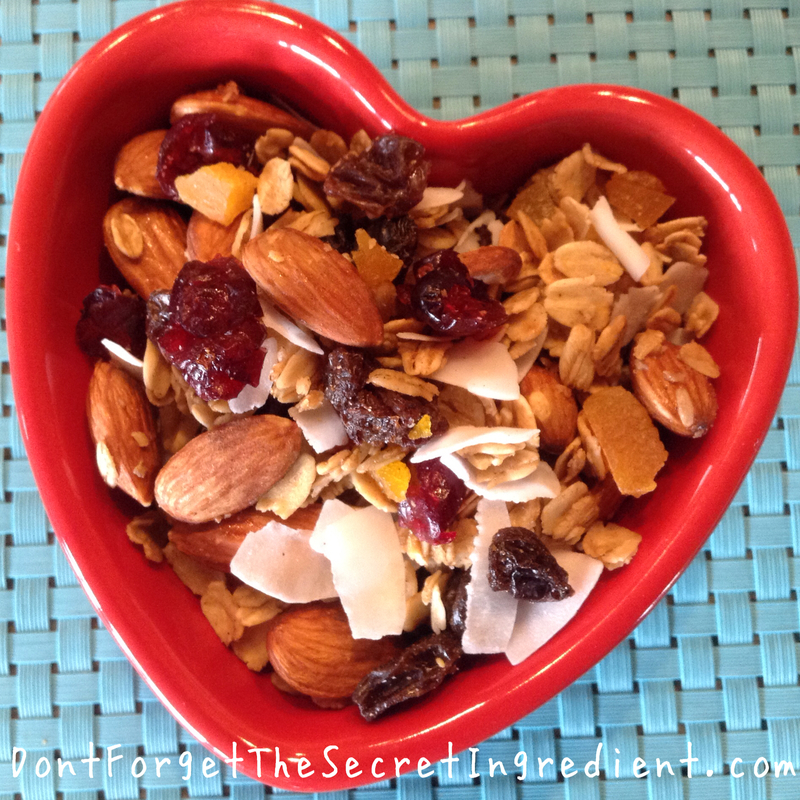 Once cool, break the granola into pieces and store in an airtight container. Serve up a bowl for breakfast, eat by the handful for a wholesome snack or serve over yogurt or ice cream for a crunchy treat. *This is my version of a recipe I originally found at whatsgabycooking.com.